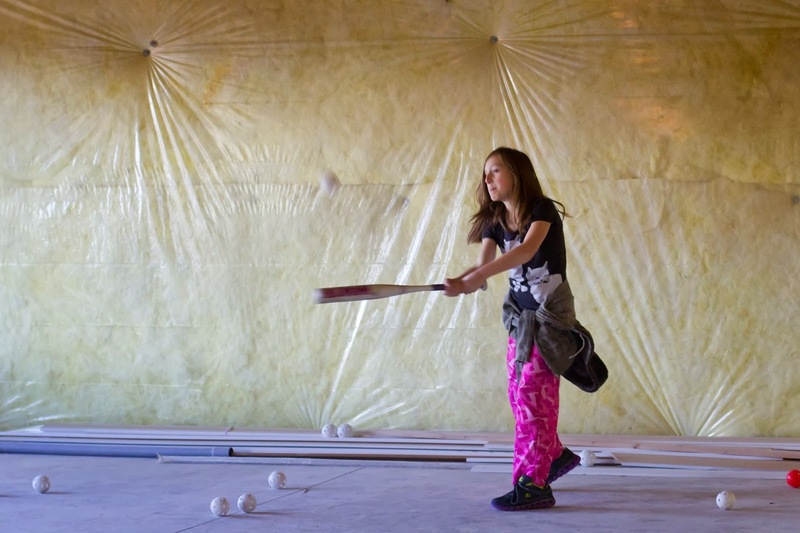 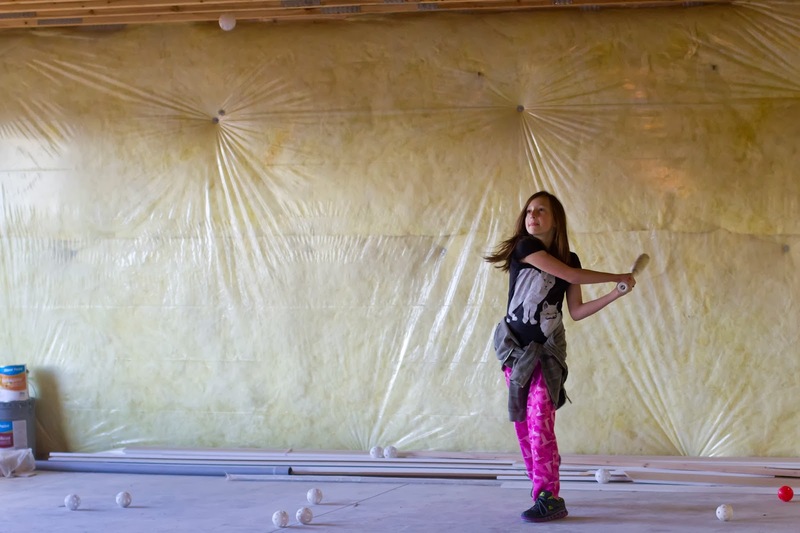 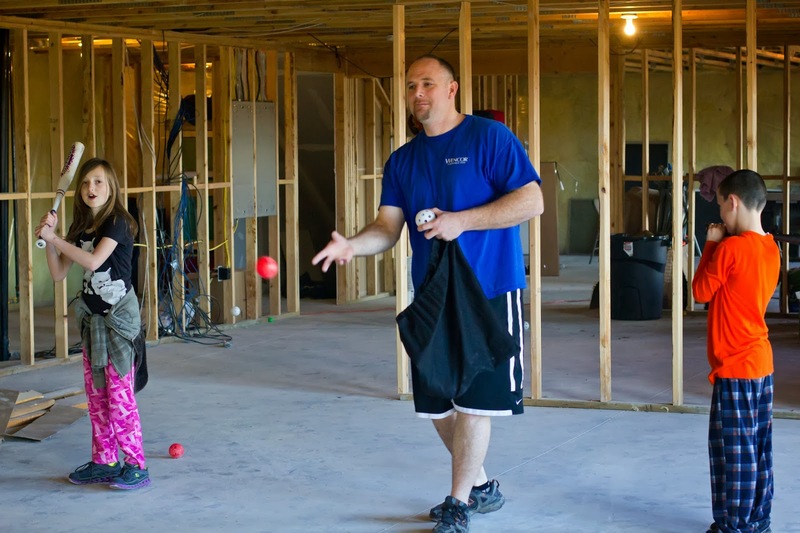 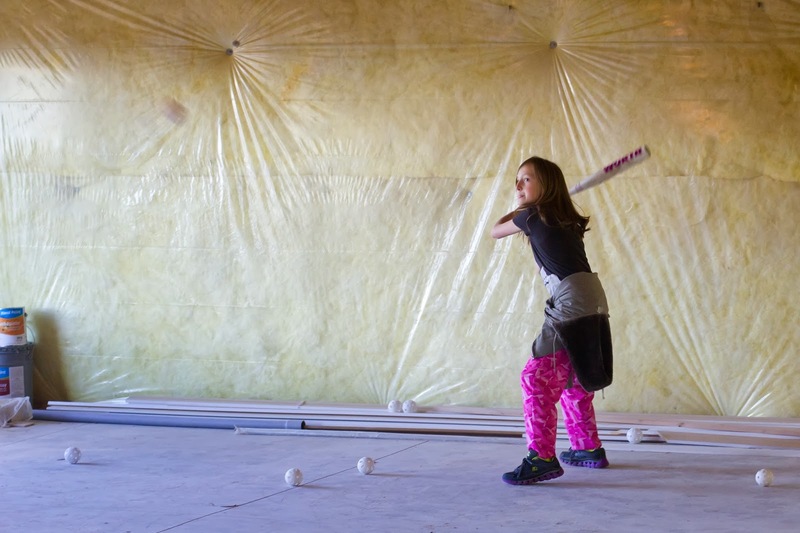 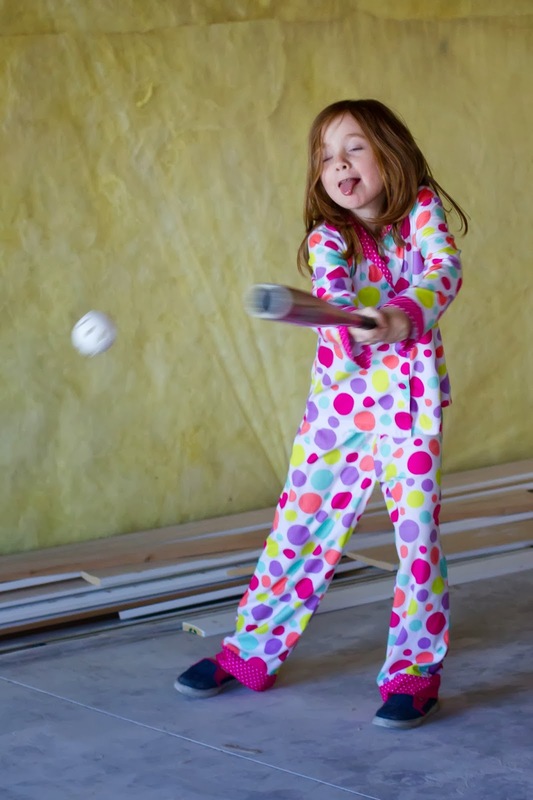 What do you do when softball season is starting soon, it is a little chilly outside, and you have a big open basement? 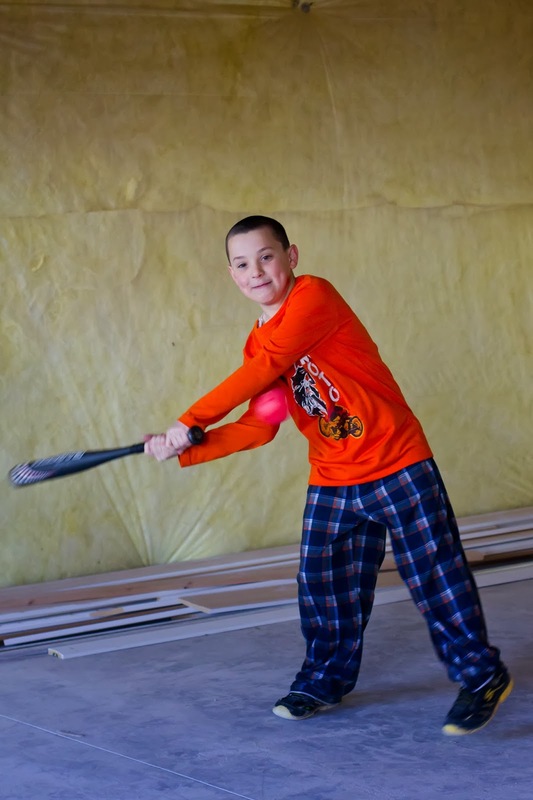 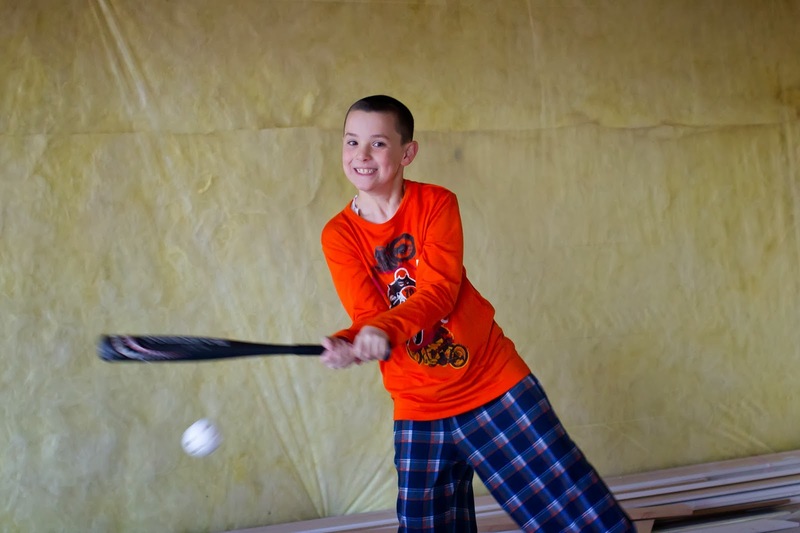 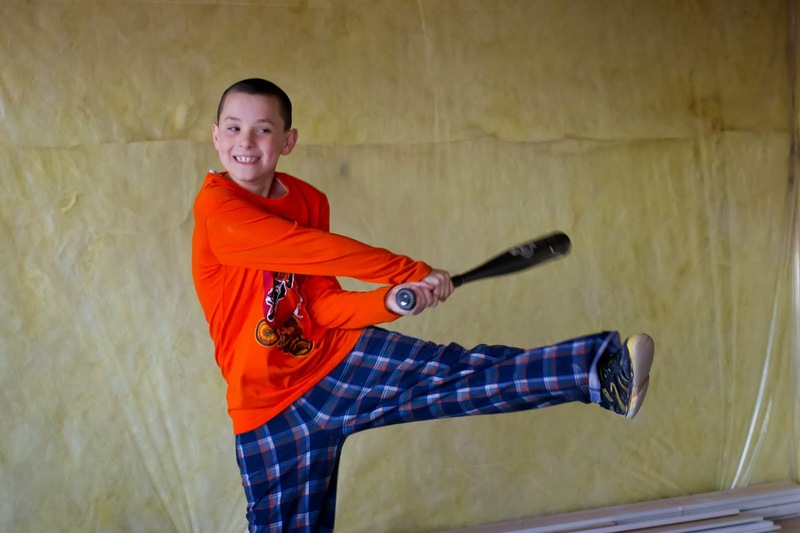 You have batting practice in the basement with wiffle balls. 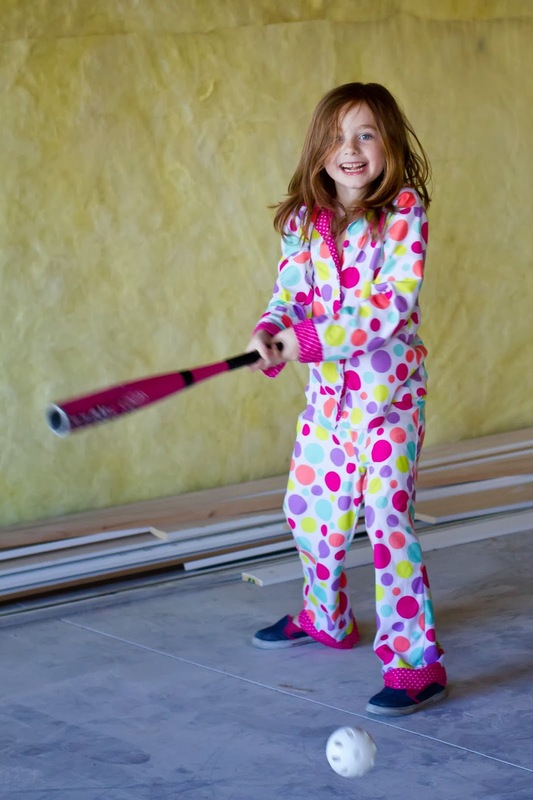 Until Rob takes a swing and busts out a light. 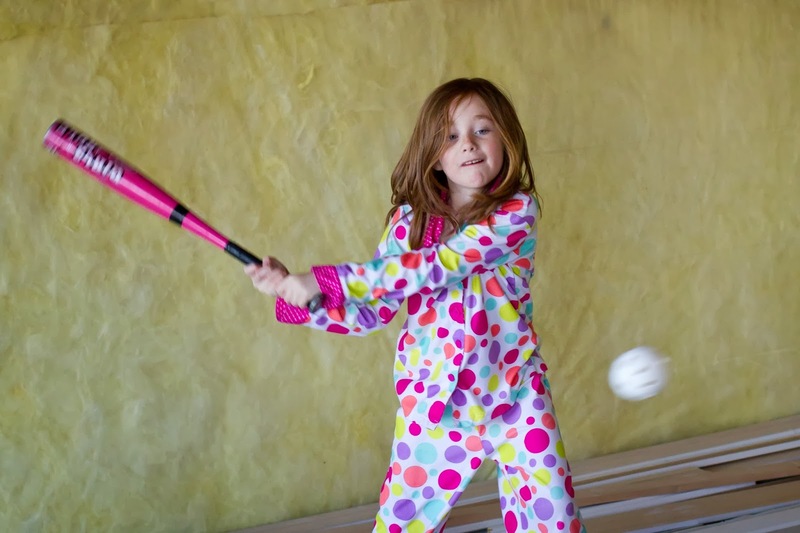 But you know, all part of the fun and games.